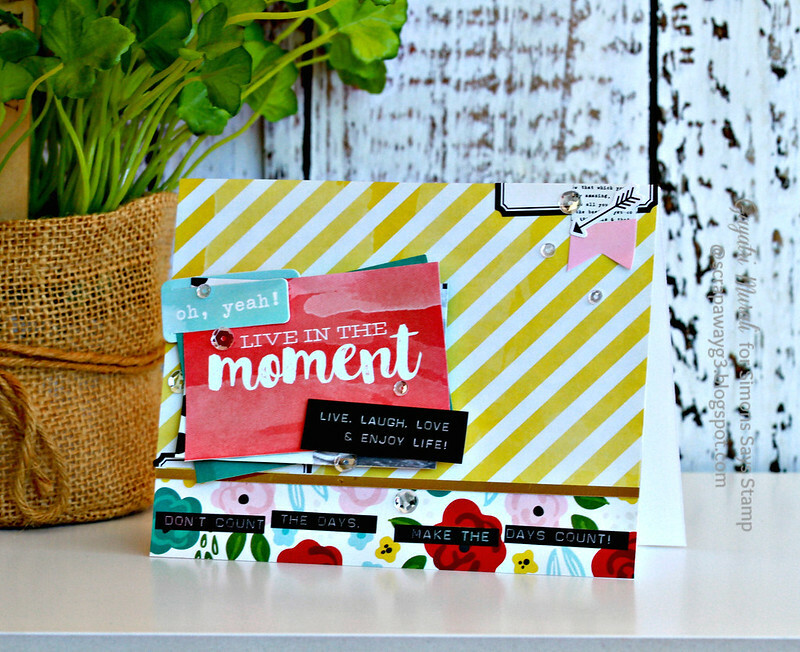 Popping in today to share card #2 using Simon Says Stamp April Card kit. 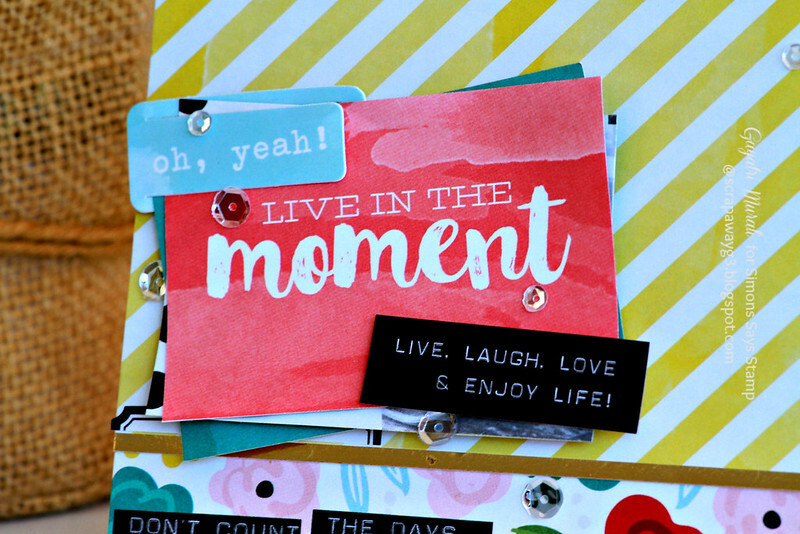 This card is totally out of my comfort zone and a no stamping card. But I have doing this lately on all my cards using the card kit. And I am getting used to it. That is because the kit is so well coordinated, that it is very easy to put them together.. I have combined the flower pattern and the yellow diagonal striped pattern paper from the kit.I added a thin strip of gold foil paper between the two layers. 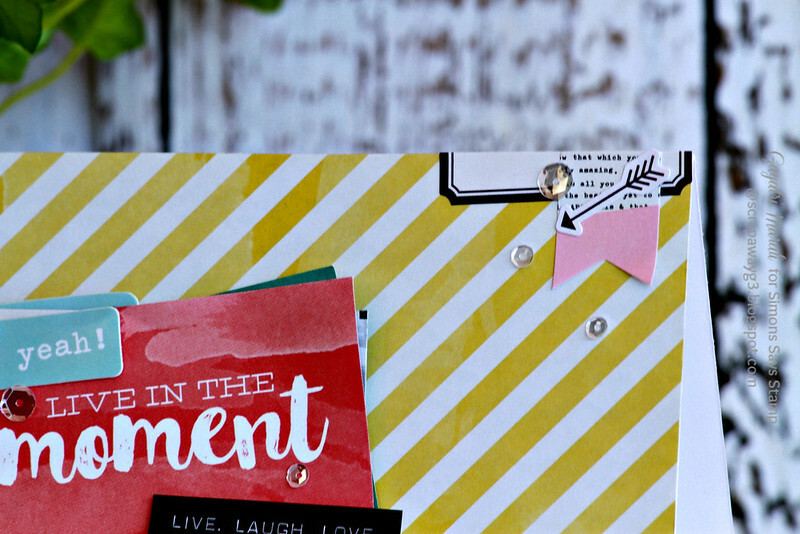 I cut some of the sentiment from the pattern paper and layered it as my focal point. Then I added the paper clip from the kit and the sticker sentiment also from the card kit. To balance the layered sentiment on the left side, I added a few details using stickers on the top right of the card front. Then I added some Sparkly Clear sentiment to bring the card together. 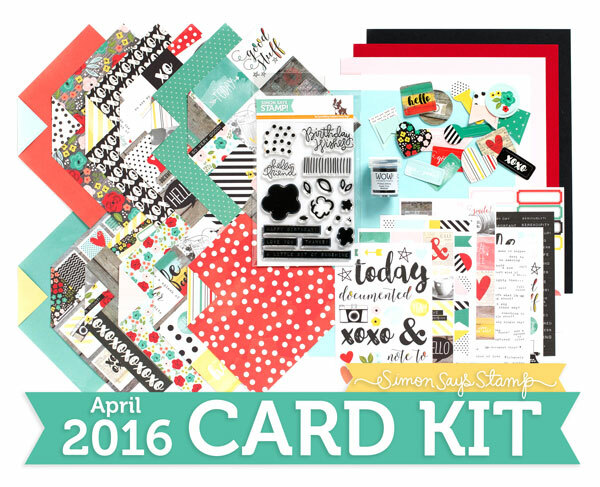 The April card kit is available to purchase from Simon Says Stamp Store. If you like to subscribe to the kits, here is the link. If you like more inspirations using this kit, here is the link to the gallery. Very nice, great design and lovely card. Fabulous kit and great design! Such a pretty and bright card. Love the different elements Gayatri.